I've been looking at this for a couple of days now, trying to figure out what to write about it. 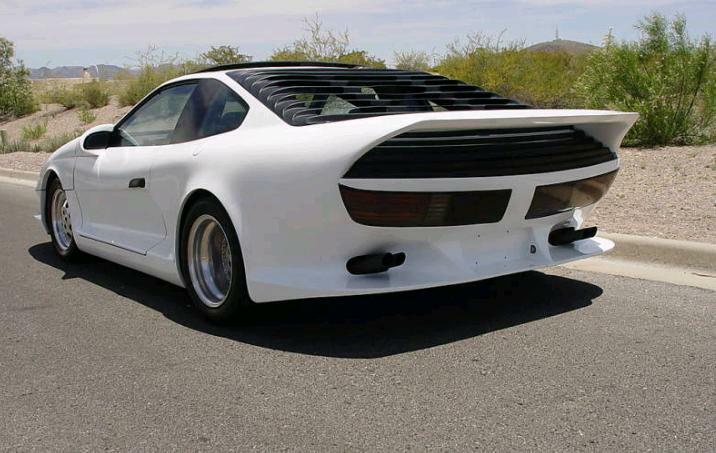 This is most likely (almost certainly) some sort of Fiero "kit". Maybe is was someones "concept" of where GM should have taken the Fiero's styling. Maybe someone designed it hoping GM would buy the design. I really don't know. Whatever it is, GM should have taken notice of it. 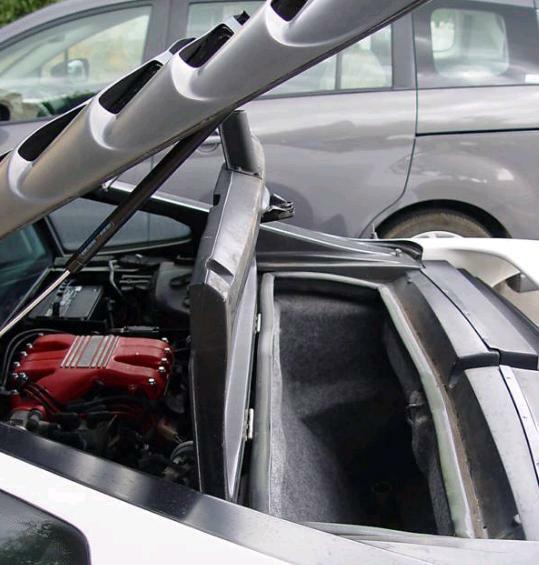 From certain angles it sort of looks a like a Pontiac-Firebird-meets-a-Lancia-Stratos mashup. Somehow, it all works. It works really well. There's not much else I can write about this car. The drive train and interior are pure Fiero. 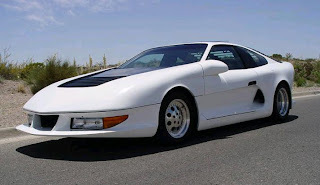 Being based on a 1986 Fiero, it has the early Chevette upfront / Citation in back suspension and the 2.8 liter V6 . Building this on a 1988 platform, with the newer style suspension, would have made it a lot more fun to drive. A V8 would have made it insanely fun to drive. A car with looks like this deserves a suspension and drive train to go along with those looks. This is a really cool looking car. Had it, or something like it, actually been built by Pontiac it most likely would have been a hit. I'd love to know its history, who designed it and who built it. I've e-mailed the seller. I'll pass along the info, if and when he gets back to me. Located in Santa Fe, NM, click here to see the eBay listing. It's NOT a kit! I saw it & talked to the owner today in Las Cruces & it was in Santa fe. It's a documented actual "concept car" built by GM. You can see by the pictures it's sharp. There were three originals, white, black & red but the black one was probably demolished per the owner I talked to this morning.